It is a very popular North Indian dish. I prepare paneer dishes at home often . My son Kannan loves eating them.Paneer is a great source of calcium and it is rich in proteins and vitamins .So it is good for growing children. 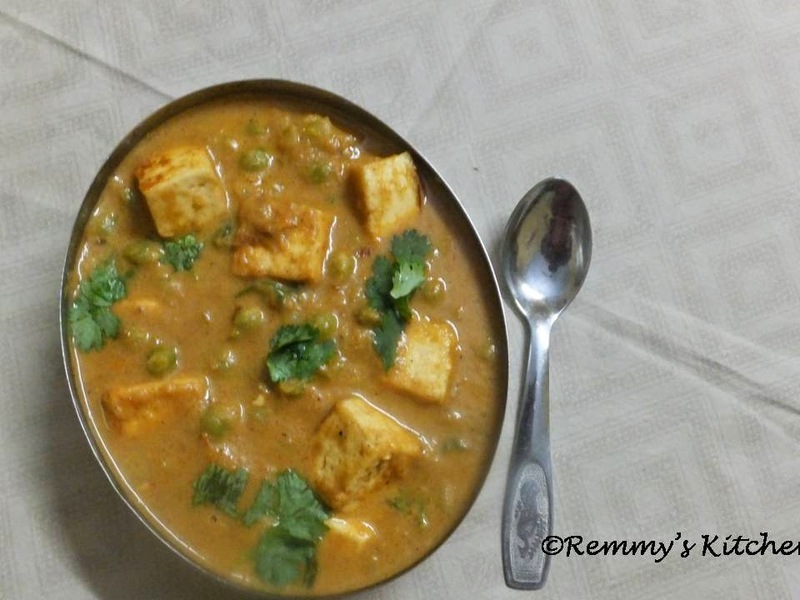 Really it is a tasty paneer preparation and I'm sure you will like it too.I love to take paneer butter masala too. Soak green peas in water for 4 to 5 hours. Pressure cook it with salt for 2 whistles. Keep it aside. Toast paneer cubes in a kadai or tawa and keep aside. Add chopped onion, tomato, green chilli, garlic and ginger. Add all the ingredients listed under "Dry powders". Saute again . Let it cool and then grind it in a mixer to make a smooth paste. Now heat a pan with a little oil and add the ground mixture . Add salt to the gravy. Saute it well till the raw smell leaves. Adjust the thickness by adding enough water. Now add fresh cream and mix well. 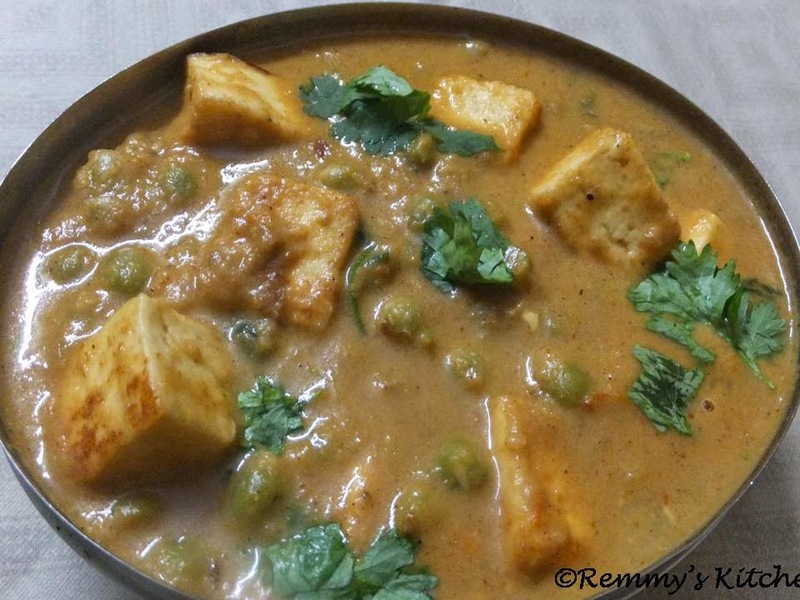 Add cooked peas and toasted paneer cubes to the gravy. Keep the stove on a low flame. I love using tomato sauce in mattar paneer. You may replace it with tomatoes. Yum to this thick creamy gravy. I will probably add extra green chilies because we love extra heat.